It's that time again. The new TV season is upon us, and as usual there are a bevy of returning shows and premieres to fill our evenings. With a list that daunting, we've taken it upon ourselves to gather together all the information you will need to make smart decisions about all the time you're about to spend watching TV. Premieres: Playing now on ELEVEN. Look, we never know exactly what to expect from American Horror Story these days. It's turned being opaque into a marketing gimmick. We know it's meant to be some sort of reaction to the 2016 US election but also... bees? We guess? That's fine. We come to this show for its beautiful costumes, set designs and acting. And we are always ready for the second half of the season to squander all the goodwill the first half generates. Premieres: Playing now on Foxtel's Showcase. This time-travel romance is a great show with a cadre of devoted fans just waiting to find out how the end of last season resolves itself, with Claire (Caitriona Balfe) discovering that she didn't leap into the future leaving Jamie (Sam Heughan) to die, and that he's still alive back in the past. The previews show a lot of flashbacks to Claire raising her and Jamie's daughter with her husband Frank (Tobias Menzies). Jamie's life is a little less well-known, other than the fact that it isn't great. If you're desperate to find out more, you could read Diana Gabaldon's books, but both the show and the books are worth your time. Premieres: Playing now on Foxtel's FX. Sheer inertia is the only thing keeping this show on the air, right? The bleed-off popularity of The Walking Dead ensures that this prequel will stick around for a long time, even if it's just a drag, which it is. Teasing us that it will one day cross over with the main show is not enough to make this worth watching. Premieres: Playing now on Foxtel's SyFy. The Creepypasta-inspired anthology show returns with a completely new cast, story and setting. This time, instead of a murderous puppet show, it's about a house that seems like a fun amusement park-type attraction, until those who visit it realise its mind-warping capabilities are truly terrifying. NBC's comedy about a girl who dies but discovers she's accidentally been put in Heaven when she was supposed to be in Hell was already serving up smart comedy and standout performances from leads Kristen Bell and Ted Danson. Then it delivered a huge twist in the season one finale. Season two opens with our favourite characters suffering from angel-induced amnesia and Bell's character with a single note cluing her into the truth, left for her by her pre-mind-wiped self. The Good Place was a wonderful surprise last season, and we're happy to have it back. Premieres: Playing now on 9GO. When we last left Gotham — HAHAHAHAHAHAHA! If you are still watching Gotham, then you know that this show abandoned sense and even the very basic premise of being a Batman prequel. The timeline for pretty much everything has been screwed to hell, but we don't watch Gotham because we want to see the city before Batman showed up. We watch Gotham because it is a glorious, entertaining mess. Ask Rob Bricken about it. The Exorcist has no reason to be as good as it is. You'd think the classic movie would lose a lot when put on the small screen, but that is simply not true. The show wonderfully expanded on the original's mythology while still bringing twists and turns we didn't see coming. Premieres: Coming in October on ONE. After that surprisingly awesome season finale, in which Kristen Wiig's Pamela (who's returning this season) shot and killed Pat, the crew is heading out to sea to escape nuclear fallout. However, it looks like they won't be cruising the waves for very long, since Chris Elliot appears in the second episode as a castaway on a deserted island. It's a good thing, too — as we learned from Fear the Walking Dead, setting a show on a boat can be pretty boring. Premieres: Coming in October on Foxtel's FX. The third season starts with what were supposed to be the final four episodes of last season, but Fox chose to move them so the season would end on a cliffhanger. As a result, we've had to wait until now to find out how Lucifer got his wings back, and why he's strutting his stuff like John Travolta in Saturday Night Fever. This show is pretty weird, but relatively harmless. Premieres: Coming in October on 7flix. This monstrosity should have choked on its own poison apple long ago, and yet here we are. Last season's finale saw the exit of almost the entire original cast, but the showrunners insist the story's not over yet. Instead of throwing in the mouldy towel, season seven is a soft reboot that stars a grown-up Henry (Andrew J. West) and alternate universe versions of some of the show's already established characters — mainly Regina, Captain Hook and Rumpelstiltskin. This show is a mess, but at this point why not try and enjoy the ride before it finally gives up? Premieres: Coming in October on Foxtel's FOX8. The worst two things last season about this otherwise incredibly fun show were how it sidelined its titular superhero for her boyfriend Mon-El, and the lack of first season's best character, Calista Flockhart's Cat Grant. Season three appears to be fixing both of those problems: Mon-El is lost in space, and Cat will be a recurring character instead of a (very) occasional guest star. The season also sees the arrival of Reign (Odette Annable), a being who claims to be one of the Worldkillers. What's her diabolical plan? As long as it has nothing to do with bringing Mon-El back, we're all good. Let's be honest, last season's finale was kind of a letdown. They found a way to make it so Iris West didn't actually die (it was HR in disguise), and now Barry is supposedly trapped in the Speed Force for all eternity… even though we know he won't be, because how the hell can the show continue without him? In any case, Katee Sackoff from Battlestar Galactica is joining the cast as the villain Blacksmith, which is guaranteed TV gold. Dinosaurs in Los Angeles. I repeat: Dinosaurs in Los Angeles. Our time travellers have created a bit of a mess, displacing heroes and villains from different time periods in an alternate reality. Hell, Helen of Troy is going to become a 1930s film actress. This is insane. The show managed to recover from its lacklustre first season by totally embracing its ridiculousness, which has made it one of the shows we're most excited to coming back on the air. Looks like Archie will be putting down his guitar and picking up a can of whoop-arse after someone shot (and possibly killed) his father (Luke Perry) in the first season finale. But Daddy Archie's assassin isn't the only baddie we'll be seeing in the seemingly idyllic town of Riverdale. There's also something called the Sugarman. This show was way stranger and better than it had any right to be, and it's (hopefully) only going to get more so. Premieres: Coming in October on ELEVEN. Writing a spring TV recap for Supernatural is like staring at a clock waiting for it to turn another minute. It's an accepted part of our reality at this point that it will always be. This is the longest-running live-action fantasy series in American history, and the showrunners have said they will keep it alive as long as they can. This season is going to be about Sam and Dean having some parental bonding time with Jack, and an "old friend" from an alternate reality will be appearing as the season's Big Bad (since what is dead may never die). If you're already watching the show you're going to keep watching it. Otherwise, never mind. Last season's finale of Arrow also ended on a cliffhanger — a giant explosion on the island of Lian Yu that left fans wondering who lived and who died. And yet, we're pretty sure that we're not going to be losing anyone actually important. We also know this season will see the return of Deathstroke, since Manu Bennett has been seen merrily reunited with the crew in preview footage. Arrow's kind of been limping along recently, the originator of the Arrowverse becoming the dourest of the lot. We're still invested, but we're also seeing the wear and tear after five full seasons — and we're not sure what season six is going to change. After a season spent waiting interminably for Negan to show up, and then another season waiting interminably for everyone to decide to try and fight Negan and his forces, The Walking Dead's eighth season promises to actually be about "all-out war" between the various colonies (named after the comic storyline). We're dubious that the show is done killing time instead of telling stories, and we can't decide if the season's strangest twist — what seems to be a flash-forward to a time when Rick has a lot of grey in his hair and a cane — is going to help, or be another way to dodge the conflict we've been waiting forever for. Premieres: Coming in October on Netflix. Stranger Things was one of the biggest surprises of the TV season — released by Netflix with virtually no fanfare, but then absolutely taking over the pop culture landscape. Just like everyone else, we're eagerly awaiting a return to Hawkins, Indiana; there have been few details about the new season released, other than that it takes place around Halloween as everyone is determined to try to return to normal. It seems unlikely to happen, doesn't it? Premieres: Coming in October on Seven. Premieres: Coming in November on Foxtel's SyFy. Stan Against Evil's biggest problem has always been that it's not as much fun as the other shows that it's going to inevitably be compared to, namely Ash vs. Evil Dead and, to a lesser extent, Preacher. It's also going out with two episodes a night, which doesn't seem great. It's enjoyable enough, and it has a cliffhanger to attend to, but with so many other shows premiering and coming back this spring, we're not sure if that is enough. Premieres: Coming September on Foxtel's SyFy. 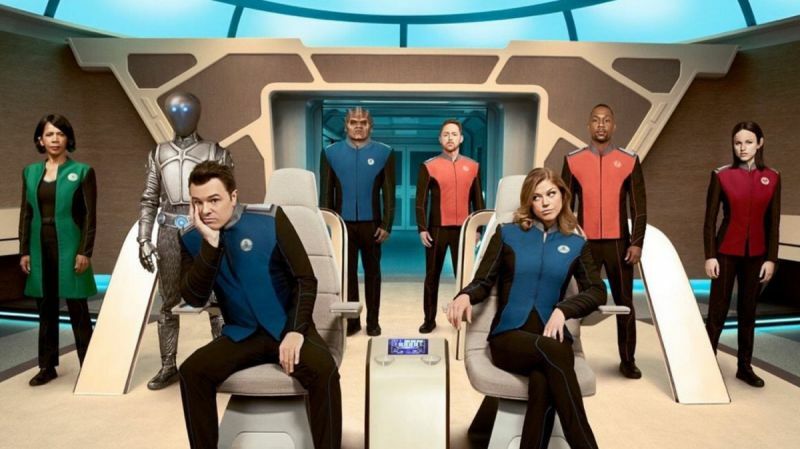 Those surprisingly great trailers excited us about Seth MacFarlane's parody of science fiction shows, hoping it would give a weekly dose of what made Galaxy Quest so good. But recently, there have been some reports that the show goes places we'd really rather not watch... which would be par for the course for any Seth MacFarlane show, really. We'll still be checking it out, but we'll also be totally prepared to bail. Premieres: Coming in September on Netflix. Oh, Star Trek: Discovery. This show has had a rough road to the small screen, and it isn't even staying on the small screen long before moving to a permanent home on the even smaller screen in the US (while the show's premiere will be on CBS, it's mostly going to live on CBS' new streaming service, CBS All Access). We continue to live in hope that the show, which takes place 10 years before the original series and focuses not on the captain but on the First Officer of the USS Discovery, will finally reestablish Star Trek as groundbreaking television. But the reason it's a "hope" and not a "surety" is the sheer number of stories about CBS' handling of this show, including the loss of Bryan Fuller as showrunner. We'll obviously watch it, because it's Star Trek... but we also watched the early seasons of Enterprise out of loyalty, and we all know how that turned out. Premieres: September 28 at 8:00PM on ABC in the US, Australian broadcast not yet confirmed. Marvel and ABC are billing this show as a "family drama" about the royal family of Attilan, the Inhuman home on the Moon, when Maximus (Iwan Rheon), brother of the king (Anson Mount as Black Bolt), leads a coup. What we've seen of the show is not great — the action is confusing, the effects subpar, and the dialogue stilted. Maybe it will make a mid-season turnaround, like Agents of SHIELD did in its first season, but it mostly seems to be further proof that Marvel's universe doesn't thrive on network television. Two guys are recruited by a secret organisation called the Bureau Underground to investigate paranormal activity in Los Angeles. Craig Robinson is the sceptic cop-turned-security guard, while Adam Scott is a genius bookstore worker who thinks his wife was kidnapped by aliens. There are a lot of face slapping and fat jokes. Doesn't seem like a keeper. This Chicken Soup for the Soul-meets-Harry Potter hybrid stars Jason Ritter as Kevin, a guy who's touched by an angel (Kimberly Hébert Gregory) and learns a non-denominational god-like figure wants him to make the world a better place. We doubt you'll watch it of your own volition, but don't be surprised if it's required viewing while visiting your great-aunt for the holidays. Premieres: November 14 on Hulu, Australian broadcast not yet confirmed. In this new genre comedy from Seth Rogen, Future Man follows Josh Futterman (Josh Hutcherson), a janitor who gets a high enough score on a video game that the future determines he is their saviour and he's visited by warriors from that time (Eliza Coupe and Derek Wilson), The Last Starfighter-style. It looks fine, though not particularly special, especially from the team that also brought us Preacher. Premieres: November 21 on Hulu, Australian broadcast not yet confirmed. Consider this the opposite of Inhumans, as we are very curious about this offering from Marvel and Hulu. Marvel describes the show as "the story of six diverse teenagers who can barely stand each other but who must unite against a common foe — their parents". 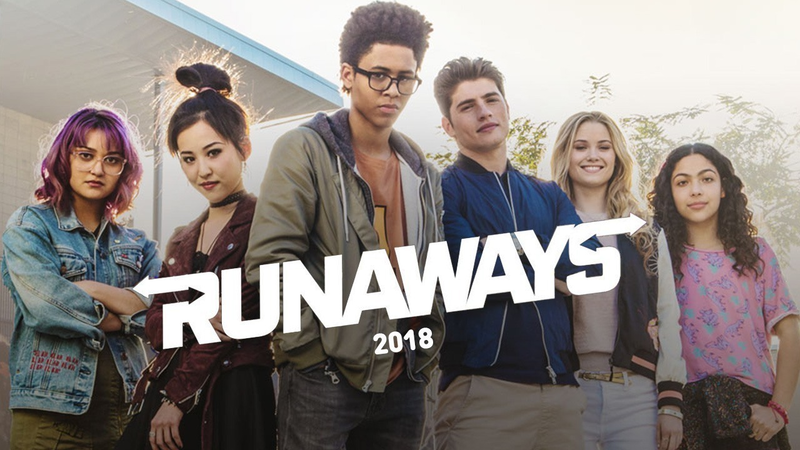 Unlike pretty much every other live-action endeavour, Runaways is going to stand on its own legs and won't be as interconnected to the rest of the MCU. That break may give the show the freedom it needs to do its source material justice. Discovery.. Well I've watched and liked all the Star trek shows and movies in their own ways and this is.. watchable although for someone raised by Vulcans the main character is the most emotionally unstable Star Fleet officer that's not been effected by a weird madness virus ever seen. Sisko had his problems too. But she's younger than most and she didn't start the series as a captain, unlike the others (that I've seen). Plus, her family were slaughtered in front of her so I think it's reasonable that she be a little emotional when it comes to the klingons. That said, we're only two eps in. The rest could be great or could be terrible. I'm just hoping there are some standalone episodes where they explore characters or themes in more depth. Michael the 1st officer, is educated on Vulcan, she not actually Vulcan, so when she comes to the conclusion she did and is ignored, then obviously she's going to be emotional about it. As for the Orville, it's a comedy crossover from Seth MacFarlane, what else were you expecting? Have you not seen Family Guy? Yeah I've mostly loved his shows, and I was looking forward to the comedy but frankly it just fell flat. Honestly I think it would of been better if they had played it straight. As for Michael. yeah she was educated on Vulcan. Raised and educated by them and was a Star fleet officer and first officer for 7 years, and because she believes she was correct despite her captain having more experience she does what she does *edits out the spoilers*. I quite like The Orville, the first episode was the weakest by far. It's now just like STG or Stargate. Makes me happy to watch. STD, I don't think we've even seen what the show is. Michael was raised to supress emotions and so now can't control them? "Hey have you caught STD today?" I caught STD a couple of weeks ago, in a single 90 minute session. Some things were certainly a little rash but I'll keep an eye on it for at least a few more weeks. With the right treatment, I think it has the potential for something interesting to come out of it. I did catch it. The problem I am having with STD is that my stream quality is poor and it's too dark. Hopefully STD gets better over the next few weeks. Hopefully it's nothing like STI from the late 90s. That was a real stinker. The acting is fine, and the effects are very good, but at the end I had to wonder what was the point? It seemed to be a rather long and convoluted way to introduce a single character. The Good Place is on Netflix, too. As is Rick and Morty, which may be up people's alleys. Supergirl and flash seem to be aimed at teens with little or no social or emotional development. Family is everything, and are to be forgiven even when they betray you, and deep emotional scenes involve following someone into another room and asking ‘are you ok?’ You could make a drinking game out of it. The Good Place S2 is also on Netflix, new eps every week. Riverdale will be the same. The Allure network already gets enough schtick for being "Foxtel shills" according to half the commenting audience, you think they'd be savvy enough to try and downplay that where possible. More Aussie subscribers on Netflix means that as a source for watching Good Place and Riverdale is going to be of greater relevance to the readers.